Target Audience: (Who Buys From You?) The foundation of effective web marketing is the 'who.' Determining your target audience, their needs, wants, level of knowledge, goals, etc is critical to creating a website that will be effective at either lead generation or e-commerce. 2. Core Message: (What Exactly do You Offer?) Flowing directly from who you want to target, is the question of what you want to say to them. Your core message delivers your value proposition in a clear and compelling way. Your core message is not a mission statement, or an executive summary of your strategic plan. Your core message is essentially a list of the reasons that people do business with you - written from their perspective. 3. Site Structure: (Is it Easy to Navigate) Many websites are little more than on-line brochures. Visitors are free to click between this page and that, reading a little here and a little there. The result is that a site visitor develops very little emotional attachment, and the 'back button' is increasingly enticing. Sales people intuitively understand that their message must be delivered in the right sequence - A, B, C, then D, which leads to E. A website that is carefully structured can accomplish this same effect, building understanding and buy-in, step-by-step. At the end of that 'presentation' the visitor takes the next step willingly. 4. Calls to Action: (Ask People to Buy!) Asking a site visitor to take the next step is the 'call to action'. This is the "contact us", "join our mailing list", or "sign up today" option, which informs the site visitor of the correct next step. Most people are grateful to be guided through the process of evaluating a product or service, so if you tell them that the next step is to sign up for a 30-day trial, many of them will. 5. Lead Capture: (Get Their Contact Info) Actually capturing contact (and qualification) information from leads is relatively easy with today's technology. Some simple web scripts and an effective 'off the shelf' business database are all that are needed. Many companies set up automated responses, saving time and energy, and ensuring that their sales people spend personal time with only the most qualified leads. 6. Good Graphic Design: (Makes You Look "Bigger"!) Unfortunately, many companies spend 90% of their web budget on graphic design, and only 10% on 'the other stuff'. Graphic design serves two purposes: 1) to establish credibility, and 2) to entice visitors to read your text. Credibility is established when a company uses effective graphic design and 'looks big'. On-line it's hard to tell, but poor graphic design leads visitors to believe that your company is small. Once credibility is established, visitors will spend some time evaluating your specific message. 7. Site Promotion: (How Will You Get Visitors?) Once your site has been optimized to maximize conversion rates, using the strategies listed above, site promotion activities should be used to drive increased traffic onto your site. 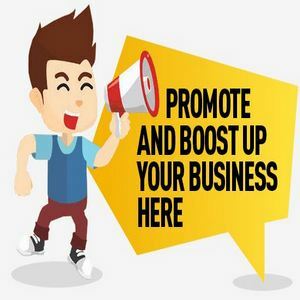 Site promotion ranges from listing your website on your business cards, through expensive and time consuming Search Engine Optimization strategies to increase your ranking on sites like Google. The area of site promotion can be a minefield to those new to web marketing. Perhaps the 3 most cost effective strategies to investigate are: • Email Marketing • Search engine submission and marketing • Reciprocal linking Each of these strategies are relatively inexpensive, and place your prospect just one-click away from your website and possibly a sale.